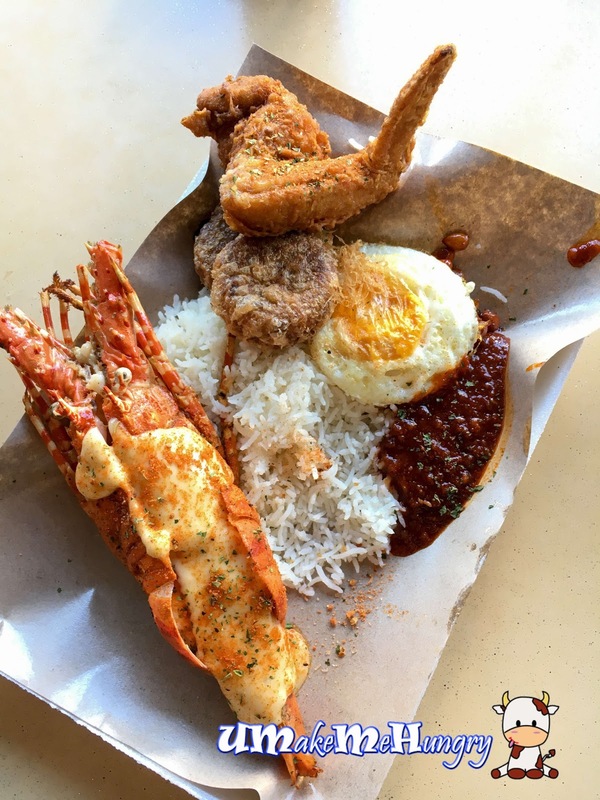 The Nasi Lemak Stall, Lawa Bintang, in Tampines Industrial Park was the talk of the town sometimes back last year. They have make the conventional Nasi Lemak by giving a twist into a fusion dish that attract so many die heart fans queuing up despite of its secluded location that requires much effort travelling down. Nevertheless, if you enjoy having lobster, I bet you will find this worth your effort to uncover this hidden gem in the industrial. 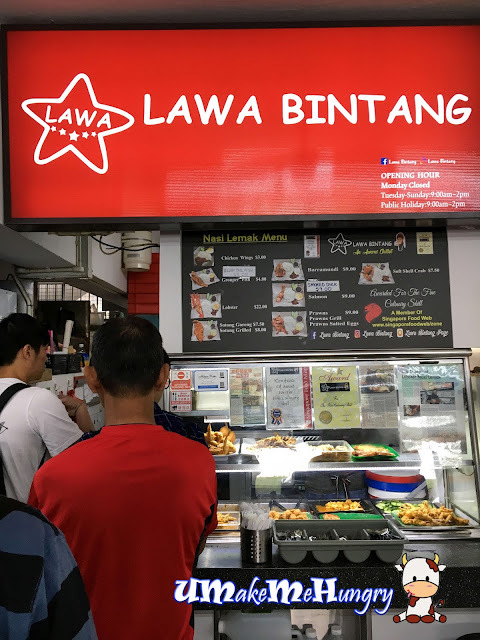 The highlight of Lawa Bintang is perhaps the Lobster Nasi Lemak as you will notice that almost every table, Lobster Nasi Lemak is their mandatory order. Eating Nasi Lemak with fusion has been make interesting by Lawa Bintang. 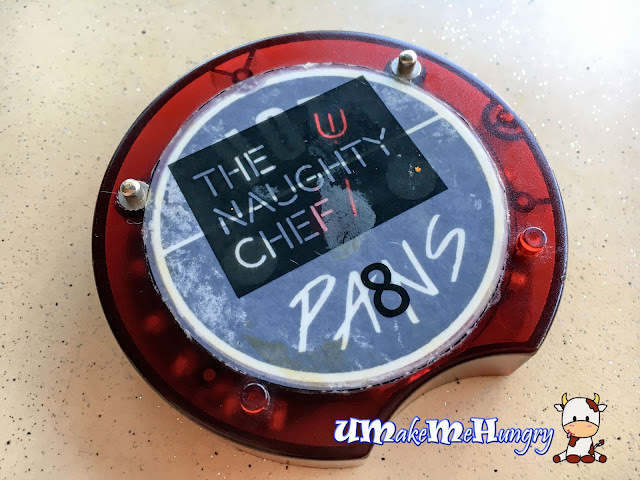 Besides having the Lobster dish, diners has the choice of Nasi Lemak with Grouper / Yellow Tail Fish, Sotong Goreng / Grilled, Barramundi, Smoked Duck, Salmon, soft shell crab or even prawns grilled or with salted eggs. 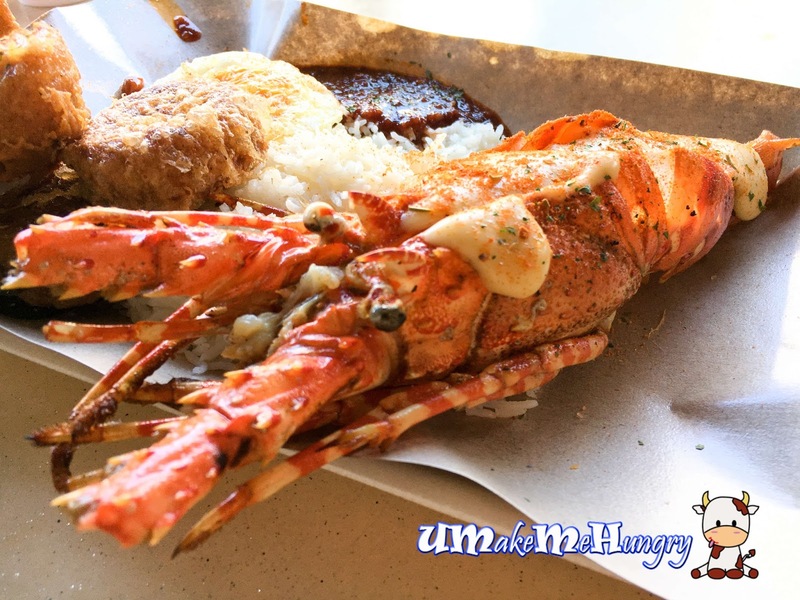 The idea of incorporation seafood into Nasi Lemak is fantastic and I would say that its very bold to have it done. By seeing the crowd lining up patiently in front of the Stall, you know that this idea works for the family business! 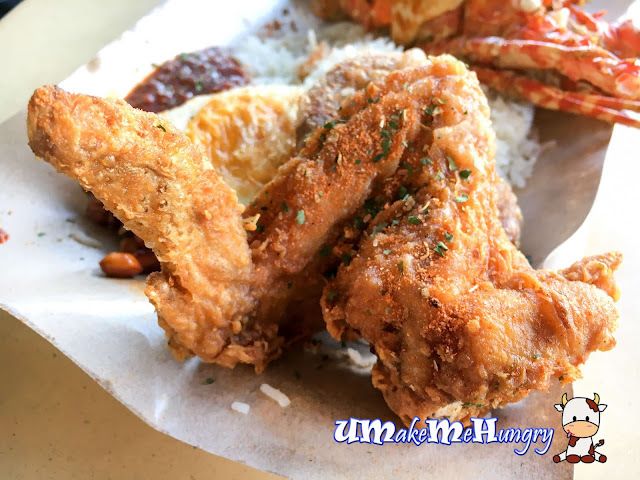 For those who are not susceptible to the fusion idea and still prefer traditionally prepared Nasi Lemak, its also available at $4 with Chicken Wing. 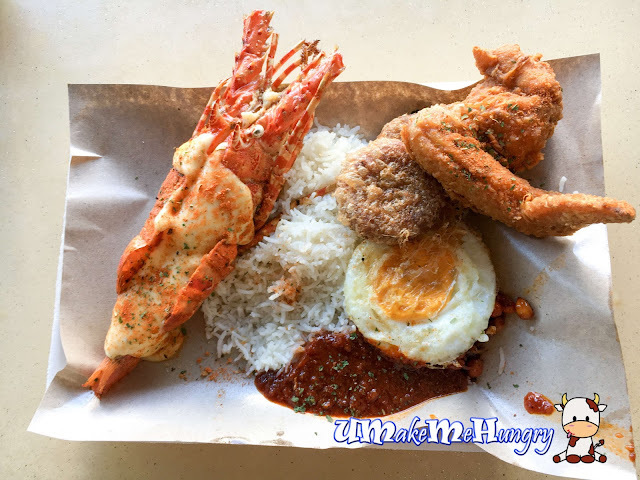 We topped our portion of Lobster Nasi Lemak with Bagedil and chicken wings. The Lobster was covered by a generous layer of cheese flavoured with herbs and Cajun spices. Simply love this fragrant and creamy layer of cheese. This has not only given another dimension on a Nasi Lemak Dish but also brings out the tasty fresh and succulent crustacean taste! This lobster was decked on a bed of White Fragrant Long Grains (Basmati Rice) coupled with their spicy chilli sauce, fried egg, anchovies and peanuts. Basmati Rice was a healthier choice used and every grain is packed with the rich aromatic taste of coconut milk. This was my first time having Nasi Lemak with Basmati Rice and felt that it was a perfect choice as rice is almost grease-less though it may be lacking some bit of moisture as compared to our original rice. Another noteworthy item would be their yummy chicken wing that was deeply marinated, fragent and sinfully juicy. Chicken wing is of larger in size cost $1.50 while bagedil at $0.50. Till date, it is the most expensive Nasi Lemak I ever had but if you ask me if its worth a try, my answer is yes. Finding the large Sotong interesting, most probably I will make a return for its Nasi Lemak. Do remember to be early as most of the time they do sold out before the stated closing hours.